MECOPP organised a programme of short breaks for carers, and those they care for, from the Gypsy/Traveller community in Scotland. These culturally appropriate breaks promoted positive wellbeing, reduced isolation and increased knowledge about carer services in local communities. 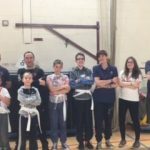 Our project aimed to provide a family sports activity session at the Academy of Sport & Wellbeing in Perth for children with a disability and their families. A trampoline and badminton equipment was purchased to provide much need rebound therapy. 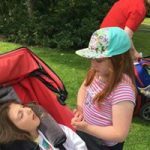 We provided fun, social and active opportunities for children and young people with disabilities, living in Perth and Kinross and their parents/carers. 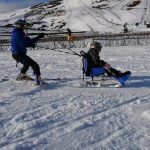 Opportunities included preschool play and movement, swimming lessons, skiing, holiday activity sessions, an activity residential, wellbeing MOT’s delivered by Live Active and their partners. We provided weekly group activities for children on the autism spectrum living in Blairgowrie, Aberfeldy, Pitlochry and Crieff. The groups offered social opportunities to children and young people who would otherwise be unable to attend autism specific support in Perth. 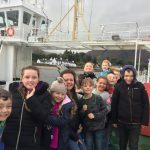 SHIP provided Youth Clubs & Holiday Clubs for children with complex support needs so they can enjoy activities and trips such as, The Yard, Glasgow Science Centre, Cairnie Fruit Farm. This provides carers/parents and their families with vital respite to improve their quality of life and enable them to continue in their caring role. 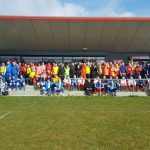 We provided fun football activity sessions for children and young people with disabilities within the Scottish East Region Community Football Clubs. These fun football activities aimed to develop friendships, communication, teamwork and health improvements from physical activity. Their carers also benefit from significant respite hours. 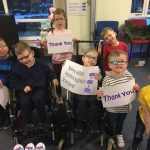 We provided opportunities for families caring for a child with additional needs living in Tayside to enjoy activities together with other families or for parents together. 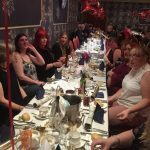 Activities included picnics, farm visits, zoo, dance classes, Christmas shopping trips, pantomimes, meals, party night and Santa. We provided support in a variety of ways, our Play and Stay Group (0-5 yrs), 4 Youth Clubs throughout the week, Activity/Sports Club, Saturday Clubs and Holiday Clubs. Offering young people the chance to develop friendship with their peers and the teenage volunteers. They also learned vital life skills through the fun and stimulating activities offered. Allowing families a chance to experience some free time to relax and feel refreshed. S.H.I.P provides support to young people with additional support needs (0-18yrs) and their families. 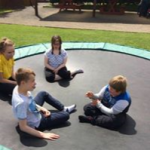 We provide respite groups to young carers age 8 – 15 in rural Perthshire on a fortnightly basis so they can access respite from their caring role which hasn’t always been accessible due to the rural locality of where they live. "I join the outside world when my befriender visits, it is so good to be able to do this".